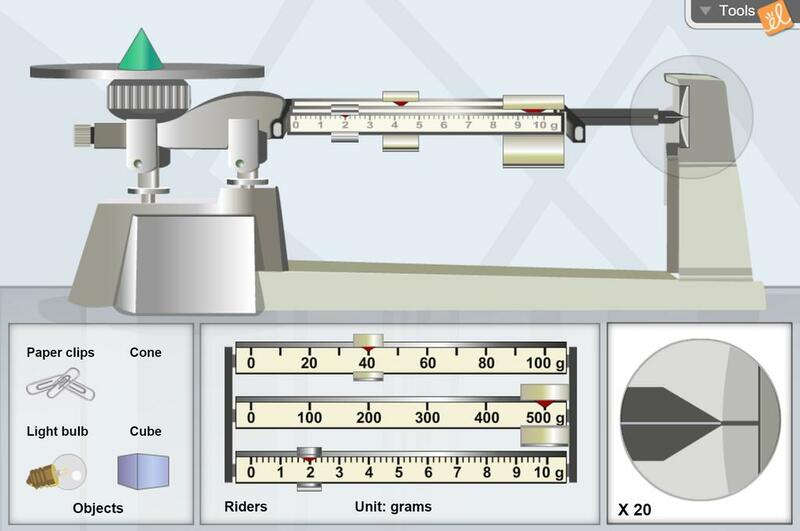 Learn how to determine the mass of an object using a triple beam balance. The mass of a variety of objects can be determined using this simulated version of a common real-world laboratory tool for measurement. This is a simpler version of the student worksheet provided by GIZMO. As an inclusion teacher, I find th... (more)at it helped my students become familiar with the part of the triple beam balance prior to them actually using one. Students will collect data about the mass of four objects. Students will make a claim, use evidence, a... (more)nd explain their reasoning about the mass of 30 paperclips. This is adapted for 6th grade science without topic of levers. This focuses on introduction to the tripl... (more)e beam balance and practicing using it. Great intro for Tools of Science unit! A nice introduction or refresher for the TBB. Great for teaching tools and how to use at beginning of year. Great as a pre-teaching lesson before using these in a lab! This Gizmo provides an excellent opportunity to introduce students of any level to the structure and function of the standard lab balance. This Gizmo allows students to manipulate a lab tool - great if the tool is not available for your students. This is a great Gizmo to help my students practice and elaborate on mass. Excellent interactive graphics for pre-lab review. Great introduction to the triple beam balance and how to use it.